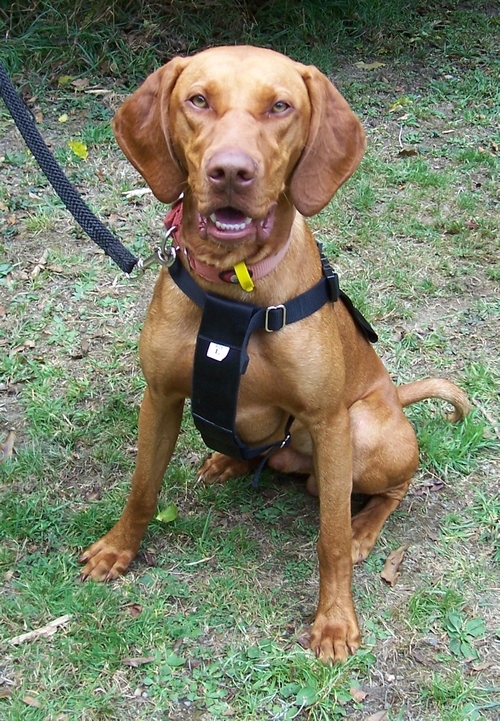 If you have a dog and visit the Remutaka Forest Park for hunting or recreation you need to get it avoidance trained. 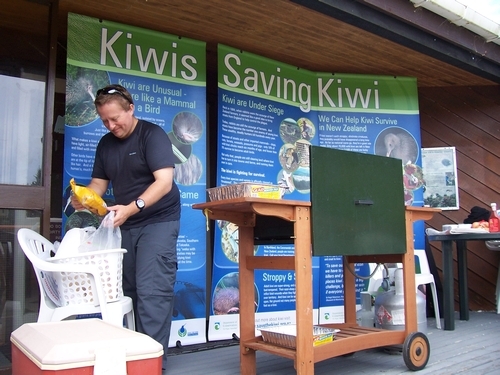 This is an affordable way to help safeguard our kiwi and your dog. The certification we provide can be used to take your dog into any kiwi area around the country (may be subject to regional restrictions, talk to the local DOC office first). Book NOW! To book - or for more information - contact Rosemary Thompson on (04) 569 4764. 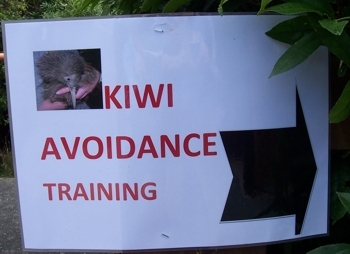 Our Kiwi Avoidance Training weekend at the end of February was a great success, with 57 dogs put through their initial training by specialist avian aversion trainer, Jim Pottinger (above right). 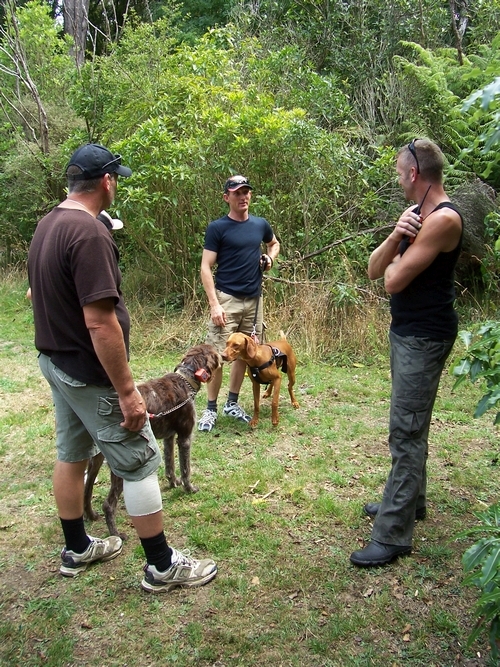 Here he is chatting to a couple of local hunters and their dogs, before taking them around the carefully-constructed training circuit near the Catchpool Centre in the Remutaka Forest Park.